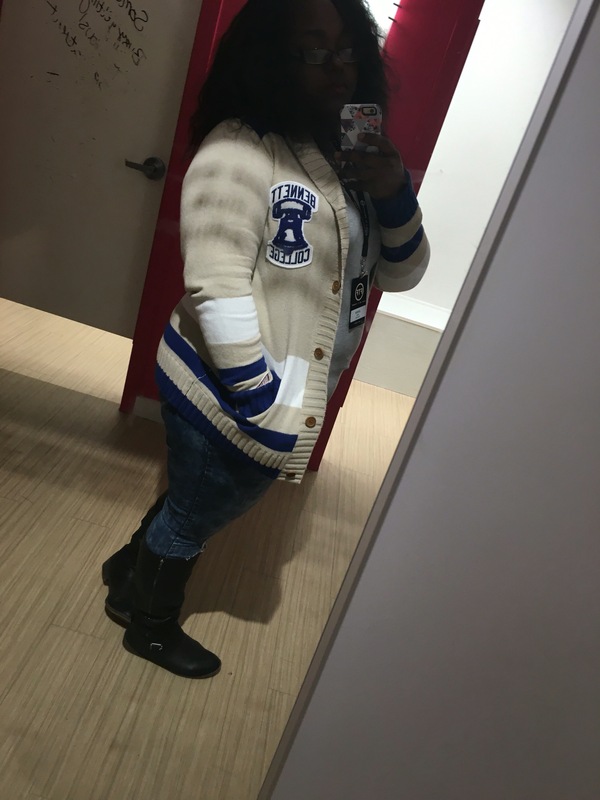 In love cannot top how I feel about this cardigan from Tradition Ever Since. 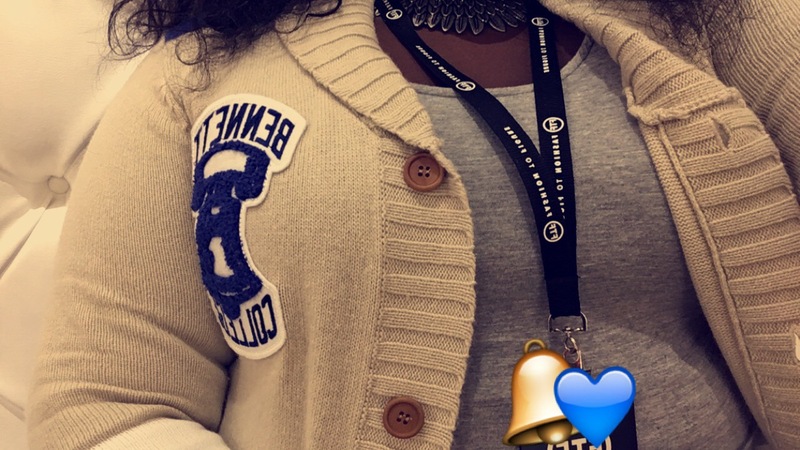 When big sis Kenya brought the idea of having fashionable paraphernalia to rep our home, Bennett College, we (Belles) didn’t hesitate. We showed up and showed out!! 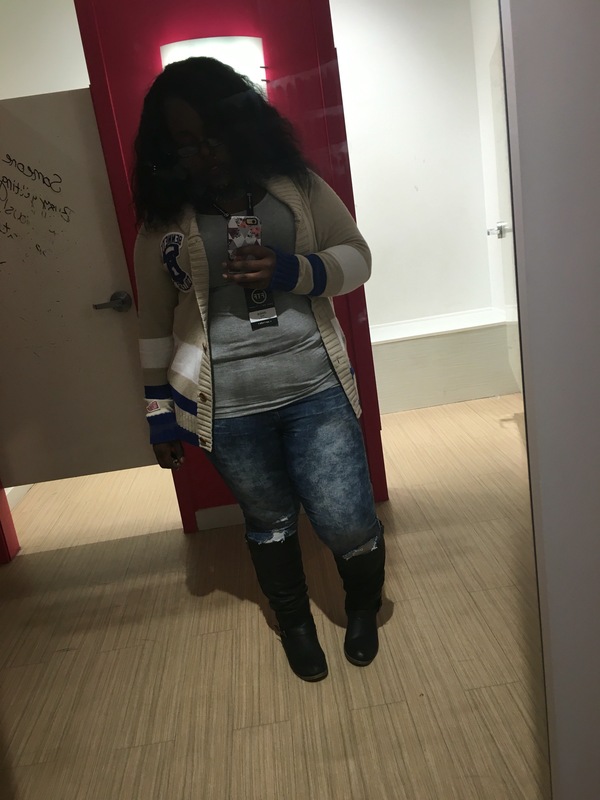 Now that all orders have been made, everybody is receiving their cardigans, shirts, and scarfs. 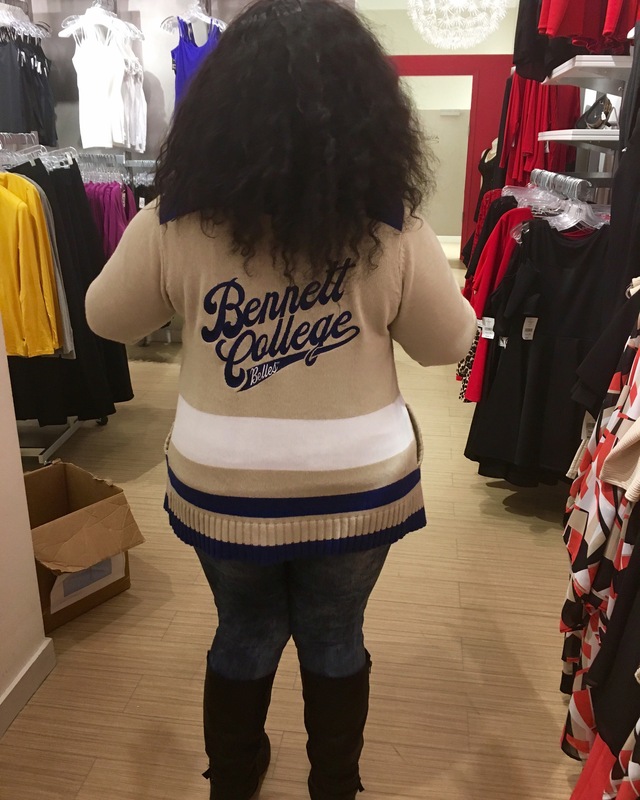 I’m a proud alumna of Bennett College & will forever show off! I’ll try not to wear the cardigan everyday, but I can’t make any promises.